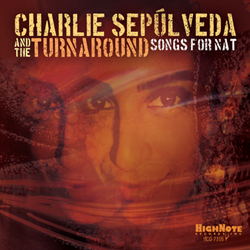 Puerto Rican trumpeter Charlie Sepúlveda has been a fixture of the Latin jazz world since the late 1980s when he played in the band of pianist and composer Eddie Palmieri. During the 1990s, a renaissance period for el jazz Latino, the brassman toured and recorded with an array of great artists including Tito Puente and the Golden Latin Jazz All Stars, Dizzy Gillespie and the United Nation Orchestra, Wynton Marsalis, Hilton Ruiz, Steve Turre, Dave Valentin, Danilo Pérez, and Paul Simon among others. He launched his own group, The Turnaround, 25 years ago, and has been turning the tables on the traditional Latin jazz format ever since.